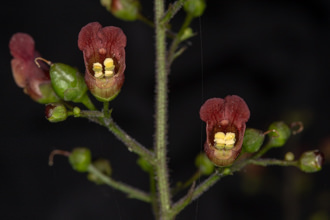 Monkey Flowers can be divided into two groups - based upon where they are found. The Creek and Scarlet Monkey Flowers in Riparian environments while Bush and Yellow Monkey Flowers along rocky slopes. Those conspicuous bushes with the light-orange flowers you are seeing on hikes right now are a species of Monkey Flower known as Sticky Monkey flower or Bush Monkey Flower. 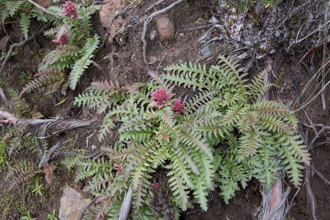 In addition to the Sticky variety, several other species of this plant also grace our mountains. Flowers are commonly about an inch long and of interesting shape. Several species are bright yellow, while others are salmon-colored or bright red. The term "monkey" owes to the markings of the seed (which resemble an ape), or possibly to the shape of the flower (mime meaning actor). Varieties of Monkey Flower can also do well in pots or in your garden. 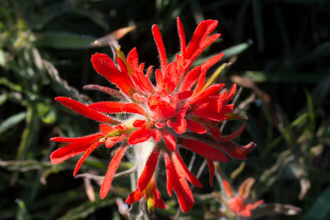 Other plants in this large family include Indian Paintbrush, Snapdragons and Foxglove. The following chart gives some distinguishing characteristics of a few of the more common varieties of Mimulus native to our mountains. 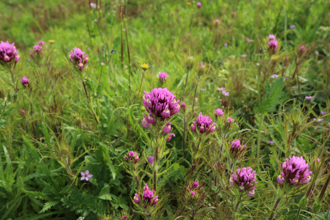 For a more comprehensive guide, you may wish to refer to a book such as Wildflowers of the Santa Monica Mountains by Milt McAuley. Perennial shrub up to 6 feet tall blooms Jan-May. Bush appearance, has sticky substance. Flowers are usually light orange to pale yellow, but less commonly red-orange. A large bush in bloom is quite showy. Prefers dryer habitats. Pictured above and below. Perennial herb, 1 to 3 feet high blooms Mar-Aug. Very common to wet places. Flowers are bright yellow with red spots in the throat. Upper leaves lack stems while lower leaves have long, hollow stems. Pictured below. Perennial herb, 2 to 3 feet high blooms Apr-Oct. Flowers are bright red and of narrower shape. Not too common. Prefers wetter places. Wider leaves than other species. Annual, 4 inches to 3 feet high, blooms Apr-Jun. Prefers dryer, rocky habitat. Flowers bright yellow with wide throats. Narrow leaves about 2 inches long.